There are two specific Rules for a ball or ball-marker that moves on the putting green. (1) No Penalty for Accidentally Causing Ball to Move. 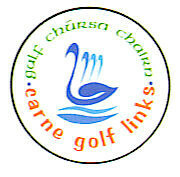 There is no penalty if the player, opponent or another player in stroke play accidentally moves the player’s ball or ball-marker on the putting green. Place a ball-marker to mark that original spot. Exception – Ball Must Be Played as It Lies When Ball Begins to Move During Backswing or Stroke and Stroke Is Made (see Rule 9.1b). If the player or opponent deliberately lifts the player’s ball or ball-marker on the putting green, see Rule 9.4 or Rule 9.5 to find out if there is a penalty. Ball Already Lifted and Replaced. 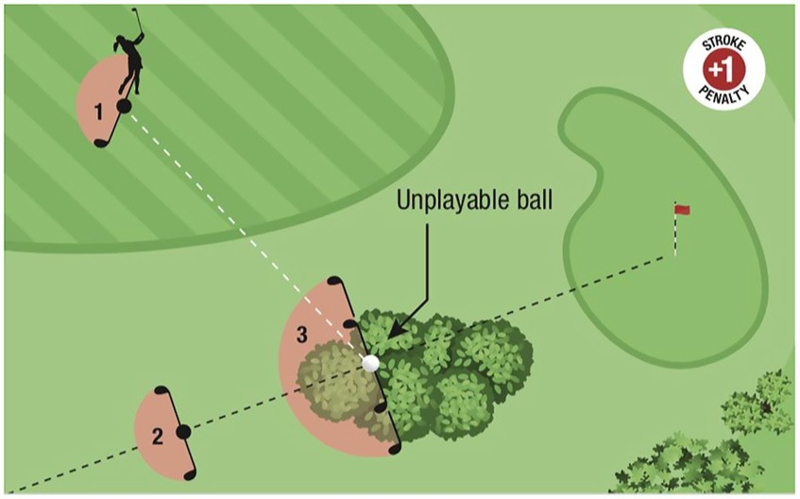 The ball must be replaced on its original spot (which if not known must be estimated) (see Rule 14.2), even though it was moved by natural forces and not by the player, the opponent or an outside influence (see Rule 9.3, Exception). Ball Not Already Lifted and Replaced. The ball must be played from its new spot (see Rule 9.3). Main rule changes to the Rules of Golf from January 1st. Some Members will be aware of some major changes to the rules of golf with effective from 1st January 2019. The modernisation of the Rules was initiated to ensure that they are easier to understand, to promote pace of play and to make the game more attractive and accessible for newcomers. 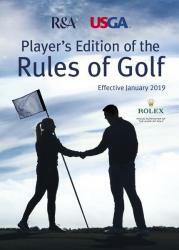 The current rules booklet will be replaced by a Player’s Edition of the Rules which will be made available to all members.There will also be a more thorough version of the Rules made available, not unlike the current rules booklet, but with illustrations. In summary, the number of rules will reduce from 34 to 24, achieved by combining similar rules and removing irrational ones. The word hazard disappears from the rules and is replaced by the term yellow/red “penalty area”. (3) all bunkers, and (4) the putting green of the hole you are playing. Dropping procedure: the ball will now be dropped from knee-height. When measuring in taking relief, the longest club in your bag (other than a putter) must be used. A player may not select the shortest one for a given situation. Relief from an embedded ball in the general area, you now drop within one club length not nearer the hole, not as close as possible which was the local rule in the past. The penalty stroke for accidentally striking the ball more than once in the course of a stroke has been removed. For balls lost or out of bounds, a Club may introduce a Local Rule, to allow golfers the option to drop the ball in the vicinity of where the ball is lost or out of bounds ,under a two-stroke penalty . The GUI are strongly recommending that this local rule not be implemented by affiliated Clubs. There will be no penalty if a ball played from the putting green hits an unattended flagstick in the hole; players may putt without having the flagstick attended or removed. Players may repair spike marks and other damage on the putting green and there is no penalty for merely touching the line of putt. There will be no penalty for moving loose impediments or touching the ground or water in a penalty area. There will be no penalty for moving loose impediments in a bunker or for generally touching the sand with a hand or club. There will be no penalty for accidentally moving a ball on the putting green or in searching for a ball. The requirement to announce when lifting a ball to identify it or to see if it is damaged has been removed. Time for searching for a lost ball reduces from five to three minutes. Unplayable ball in a bunker.. under penalty of one stroke may drop in the bunker or under penalty of two strokes may take relief outside the bunker based on a reference line going straight back from the hole through the spot where the ball originally lay in the bunker. No one can help the player with his alignment for the stroke. See below for easy to understand guidelines and are worth reading...…..
-- You cannot touch the sand in a bunker when making a practice swing or in the backswing for the stroke. -- You cannot deliberately touch the sand in the bunker with your hand, club, rake or other object to test the condition of the sand to learn information for the stroke. -- You cannot touch the sand in a bunker with a club in the area right in front of or right behind the ball, except when searching or removing a loose impediment or movable obstruction. The player will be allowed to have the damaged club repaired but the repair is limited to the original components of the club - the same grip, shaft and clubhead. Damage that existed prior to the round must not be repaired.